Traditional magnets do not necessarily align when attaching to each other. Polymagnets® can be designed to align with varying levels of precision and with a wide variety of alignment functions. Alignment Polymagnets® are made from permanent magnet material and will consistently and repeatedly perform every time without recalibration or maintenance. 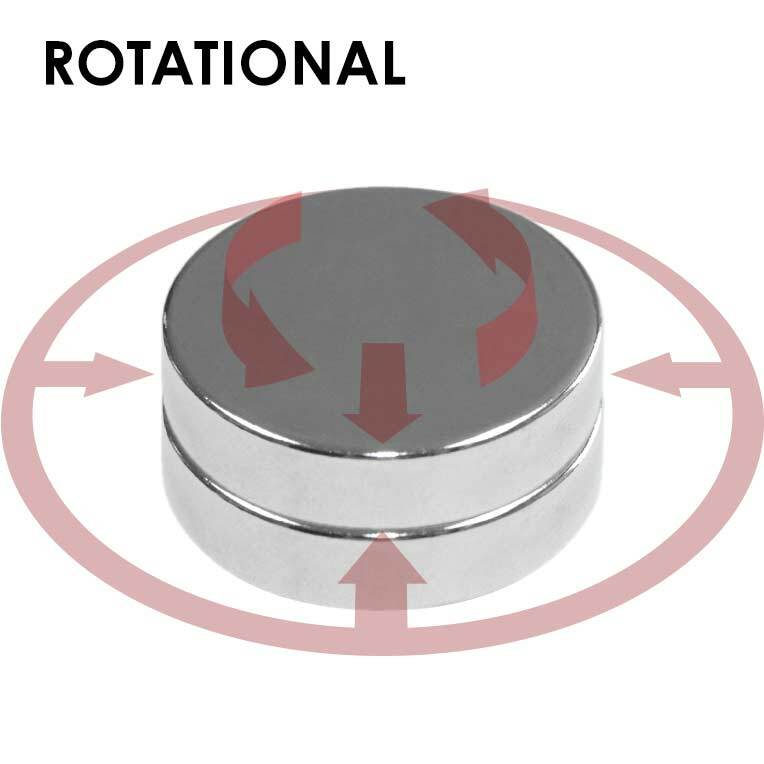 Polymagnets® that align and center offer repeatable, reliable positioning every time. This has application for cameras, scopes, laser pointers, optics and all position sensitive devices. Centering Polymagnets® are a distinct type of Alignment Polymagnets® that are produced in matching pairs and will align with varying levels of precision and from variable gap distances. 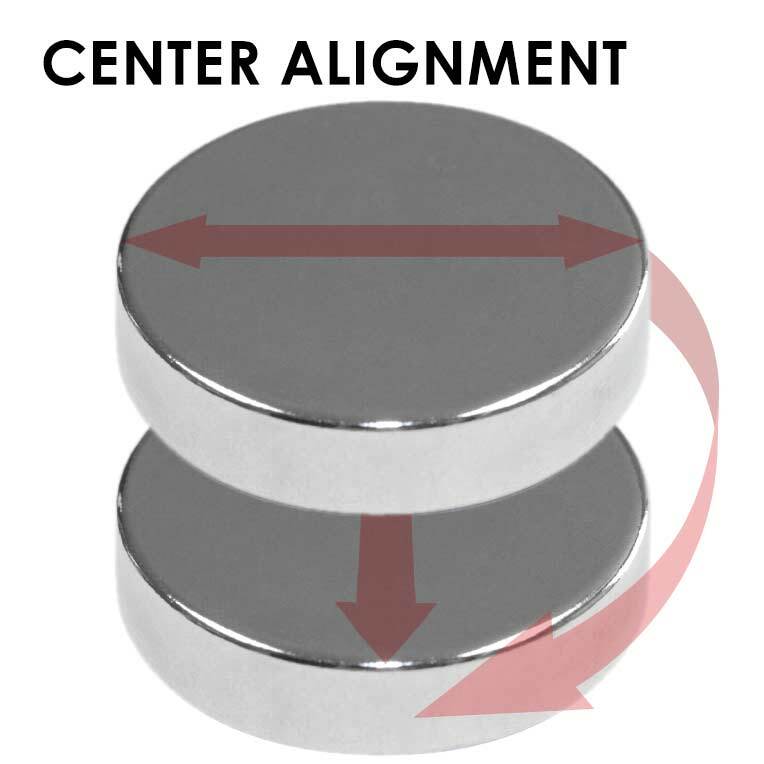 Centering Polymagnets® will produce forces to achieve axial center alignment that vary with separation distance. The behavior is offered at several gap distances, with greater attachment strength at a short distance, and greater off-center forgiveness at a longer distance.